Parking is available nearby the La Quinta Inn & Suites San Antonio Riverwalk. Current parking rates are listed on the map. Select the location address of your choice to view parking information. 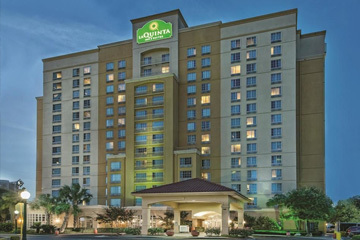 The La Quinta is a 3-star hotel with outdoor pool, located in Downtown - Riverwalk near the Alamo. Nearby are the Henry B. Gonzalez Convention Center, Alamodome, shops, and restaurants.